Colorado's annual free fishing weekend is coming Saturday and Sunday. 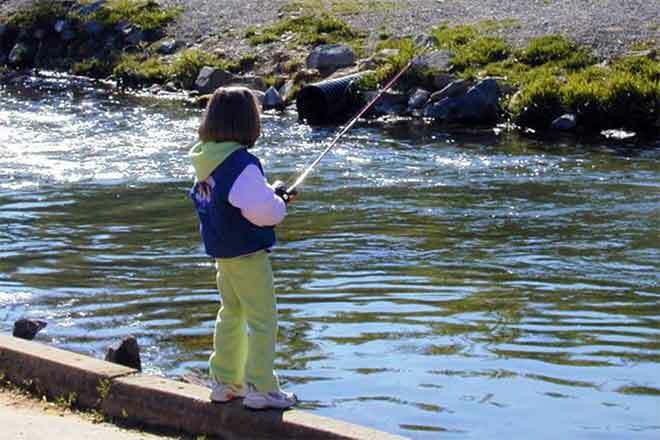 Fishing licenses will not be required anywhere in the state for people of all ages. Although a license will not be required, Colorado Parks and Wildlife will be enforcing all other rules set for the sport. For those who become "hooked" after a free weekend, licenses are available from hundreds of businesses across the state, or at CPW offices. Licenses can also be purchased by phone at 800-244-5613 or online at http://www.cpw.state.co.us/buyapply/Pages/Fishing.aspx. Prices for residents range from $1 for seniors age 65 and older to $16 for adults age 16 to 64. Children under 16 can obtain a free license. A $10 habitat stamp is also required. Other options, including day licenses are also available. Non-residents can also purchase licenses. Licenses are valid from April 1 through March 31 of the following year and can be purchased at any time. KiowaCountyPress.net publishes an interactive map and report of fishing conditions across the state each week based on information provided by CPW. The most recent report is available here.